They may be clunky, slow, and prone to delivering their passengers to a fiery death, but airships are an important part of world history. And with Tay and K’s help, perhaps they’ll become an important part of the future history of the present. 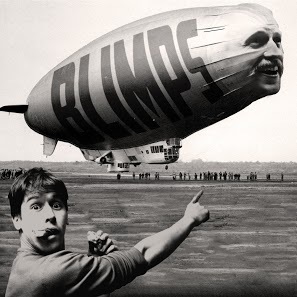 Presidents, Germany, and even the humble peanut make an appearance in our sky-high encounter with BLIMPS! Posted in PodcastsTagged blimps dirigibles zeppelins world war 1 germany explosive hydrogen do-it-yourself home blimp kit geese jetpack endoresment aeroplanes jet engines balloons montgolfier brothersBookmark the permalink.